Till 26 Oct 2018 The Butcher’s Kitchen: 1-for-1 Flaming Beef Bowl on Weekdays for Lunch! 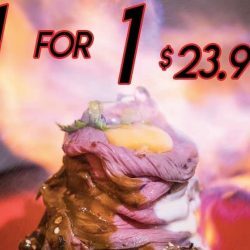 1 for 1 flaming beef bowl to chase the monday blues away? Yes please! Head to The Butcher's Kitchen to enjoy the beef bowl deal on weekdays from 11am - 2pm!